This is quite possibly the best book ever written. Or made. 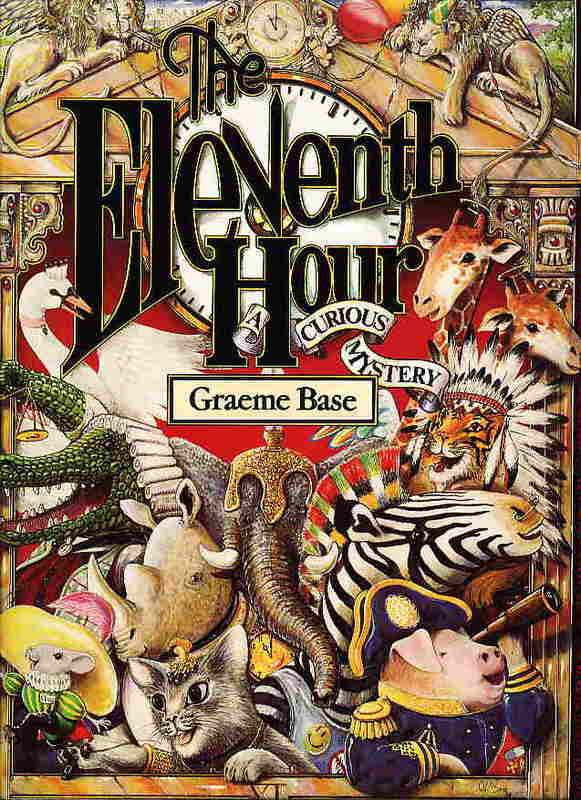 Graeme Base has been my hero since I was eight years old and I read ‘The Sign of the Seahorse’ and wrote my first ever fan letter. I may have also written a poem. Anyway, Mr Base very kindly replied to my letter and I still have his reply. It’s one of those things I would save if my house was on fire. Graeme Base lives in Melbourne and my new plan is to find him* and tell him that after nearly 20 years, I still buy his books and think he’s awesome. Considering everyone knows everyone in Melbourne due to the incestuous nature of the private schooling system, you would think this wouldn’t be particularly hard. However, as Mr Base was my age in the 80s or thereabouts you never know. I am waiting for people to reply to my Facebook status update to tell me he’s their uncle or something and he would like nothing more then to meet the girl who wrote him a god awful poem when she was in Grade Three nearly 20 years ago. My Facebook status update is my less stalker way to find him before I’m reduced to create a group with myself as admin asking people to help me. I wish I still had a copy of that poem. I’m convinced it was a complete rip off of his style – or as much of a rip off as an 8 year old can manage – but I do have the comforting feeling that all the rhyme and measure were correct. Comforting thoughts. * I realise I sound like a stalker. But seriously, Graeme Base is totally rad.